I always considered myself an animal lover, and had been a vegetarian for most of my life. When I learned the truth of the egg and dairy industry my eyes were really opened to the horrors of animal agriculture. 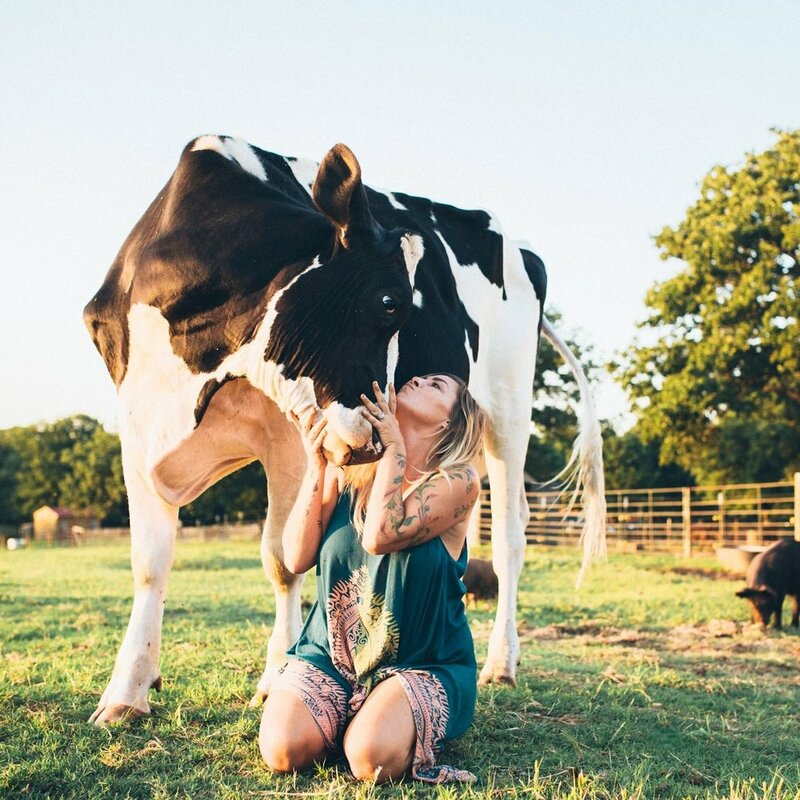 When I decided to make the change to become vegan and align my choices and actions with the love and compassion I felt, my entire life change for the better! After much soul searching, I founded Oliver and Friends Farm Sanctuary to give animals refuge, safety and a voice. I quickly learned cows and pigs are every bit as intelligent and complex as dogs and cats, turkeys love hugs and music and chickens purr when you pet them. I honestly believe if people knew the truth about how sensitive and loving these animals truly are, they would come to the same conclusion I did—let compassion win! I love ALL animals, and I am absolutely committed to educating the public about how a vegan lifestyle is a win for our animal friends, our plant and ourselves. When we asked Jason what he loves most about Oliver and Friends he said, “ I have finally found my purpose”. We couldn’t agree more! Jason is such a kind and gentle soul who is willing to go above and beyond for our residents. When we say “above and beyond”, we mean it! 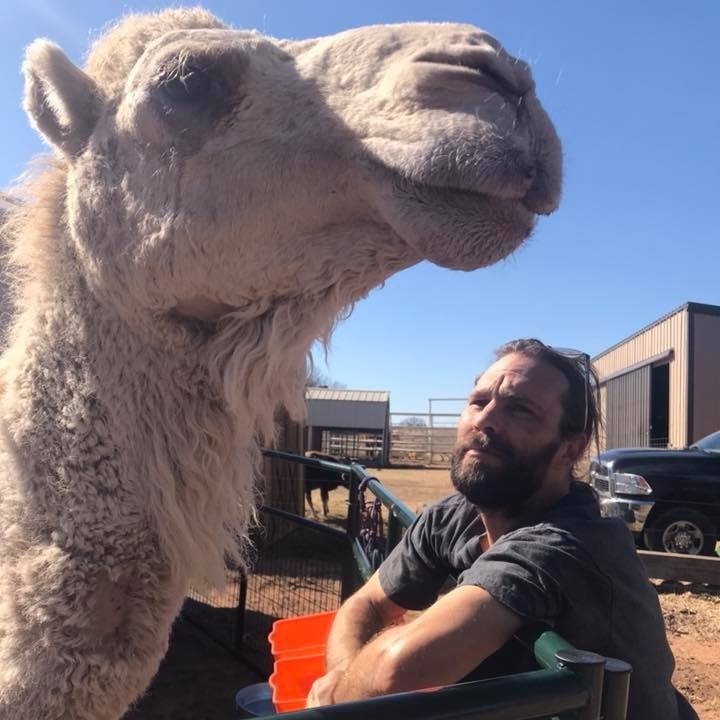 Jason does everything on the sanctuary from utilizing his carpentry skills to sharing his bed with any species we have. He is a pillar of support for Jennie in everything she does while also standing strong in his own call to our mission. I decided to be the change I wished to see in the world. I wanted to get healthy and learn more about life. I became increasingly interested in the farm animals I passed every day on my way to work. I realized when I spoke to them, they always responded to me—and I at them. I became a vegetarian. After more research about animals’ consiousness, I became cruelty-free. After researching and learning about how horrific the dairy industry is, I became vegan. I wanted to do something more. I thought I loved animals before, now I wanted to help! I finally found Oliver and Friends Farm Animal Rescue and Sanctuary. Jennie and Jason created a sanctuary for animals without hope to live their best lives! Every being that comes to O&F can feel the love and security, making it the most magical place I’ve ever been. Dr. Heatly grew up in SW Oklahoma and developed an interest in veterinary medicine, and a strong passion for 4 legged creatures at a young age.She graduated from the Oklahoma State University College of Veterinary medicine in 2009. 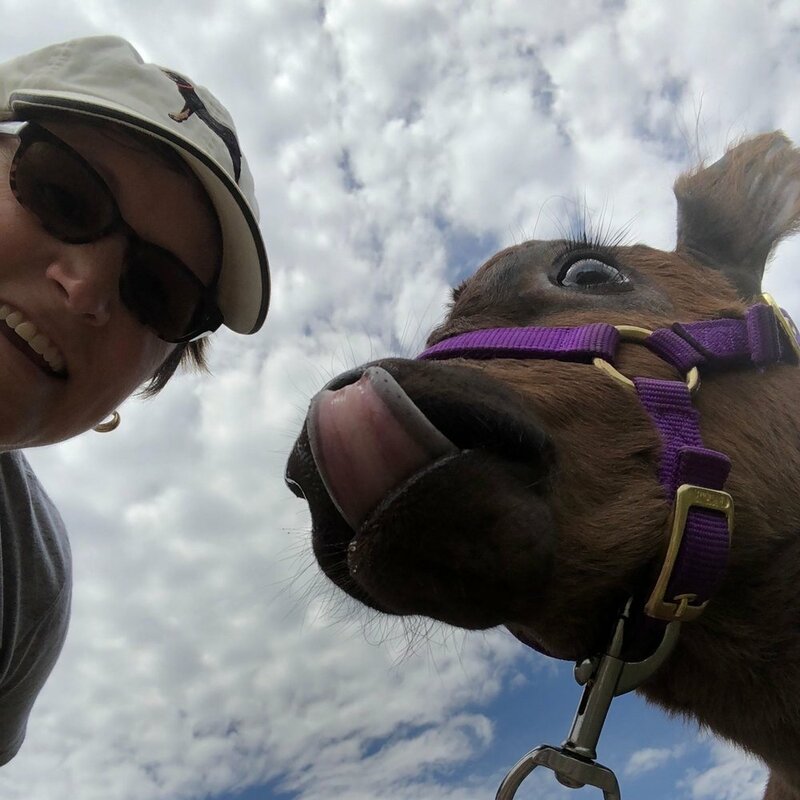 She then completed a 1 year internship at Peterson and Smith Equine Hospital in Ocala, Fl prior to returning to Oklahoma.In January of 2015, Dr. Heatly founded Great Plains Veterinary Service as a full service mobile hospital. With the rapid growth of business and increased clientele, Great Plains is proud to announce that they have just expanded and added a stationary full service small animal clinic located in Arcadia, OK.
We would not be able to help as many animals as we do without the support of Dr. Healty and her incredible staff at Great Plains Veterinary Services!